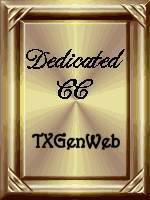 Welcome to the USGenWeb Project genealogical research page for Swisher County, Texas. My name is Sharon Bart and I am the County Coordinator. I am in the middle of changing over all the pages to my contact information so if you run across any problems, please message me using the contact link in the menu bar above or email me using the address in the image below. You can also add a comment to any page, though it will not show up until I approve it. If you are looking for anything you have seen before, you might find it on the old page. I am in the process of moving them all here. An "*" in the menu indicates I'm working on the page and it may not be complete or function correctly. This website dedicated to Zoe Smith who has worked tirelessly obtaining information for use here, as well as personally corresponding with many Swisher County Researchers. It is also dedicated in memory of James and Jo Nell Boggs Moore who helped get me started on this adventure with their amazing and deeply rooted family history in Kress, Swisher County, Texas. I will never forget the day they welcomed me into the family literally with open arms. The Center Plains – Bagley Cemetery is located six miles west and two miles north of Kress. At one time there were four graves here, but now only one is left. 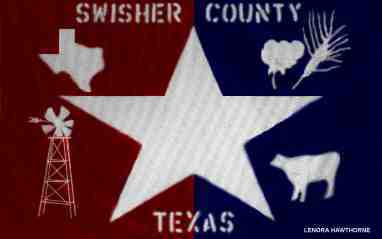 The book Windmilling: Swisher County, Texas reports that the other three were moved to Tulia. Website Last Updated: 9/13/2018. All content copyright Zoe Smith of the former Tule Creek Genealogical Society and Sharon Bart unless noted. Content may be freely linked to, but is not to be reproduced on any other site or format without permission and has been that way since inception of The USGenWeb Project. Robert Leonard Photo Collection Added! The 1940 Census is Here!